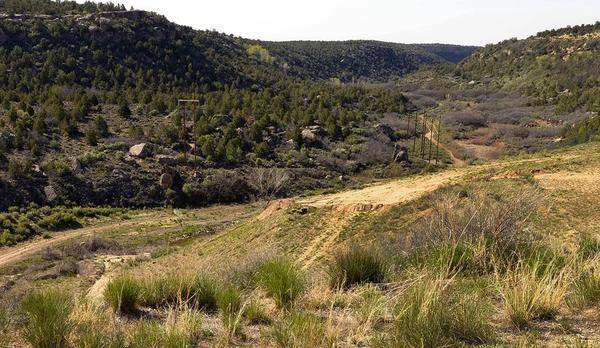 SALT LAKE CITY (TheBlaze/AP) — An idyllic Utah canyon home to ancient cliff dwellings and native burials will be the site of a protest Saturday by a group of people who plan to mount their ATVs and ride a trail that has been off limits to motorized vehicles since 2007. The Bureau of Land Management is warning riders to stay out, vowing prosecution against those who ignore a law put in place after an illegal trail was found that cuts through ruins that are nearly 2,000 years old. Recapture Canyon is open to hikers and horseback riders. The Denver Post is calling the unfolding situation the “next BLM showdown” after the clash between the federal agency and Nevada rancher Cliven Bundy went national.